England winger and newly-crowned Golden Boot winner Tommy Makinson has revealed he wants to test himself in NRL. The 27-year-old spoke of his ambition after being unveiled as player of the year by the Rugby League International Federation at an awards dinner in Leeds on Wednesday (local time). He is only the fifth English winner of an award that was first presented in 1984. Makinson is contracted to Super League club St Helens to the end of 2021 but says he wants to follow England's all-time leading try-scorer Ryan Hall, the man whose England shirt he has inherited, to Australia at some time in his career. "It's something I want to do, definitely," said Makinson, whose award has received criticism in Australia, most notably from NSW coach Brad Fittler after NRL superstar James Tedesco, Dallin Watene-Zelezniak and Elliott Whitehead were snubbed for the top gong. "It's something I'd like to experience. Whether that'll be in a couple of years or not, who knows. But it's something I'd like to do." Makinson said he kept in touch with former St Helens coach Nathan Brown, now in charge of the Newcastle Knights, but ruled out any prospect of an early reunion. He said: "I've spoke to him as I get on with him pretty well - but not yet!" Fittler dubbed Makinson's award "totally ridiculous" in an interview with NRL.com. "I can't believe the best player in the world is a person I've never seen play," he said. "It belittles the award. "I watched the highlights of the England game (against New Zealand) and just saw him score a couple of tries. "That's all I've ever seen of him and he's the best player in the world? I find it ridiculous." 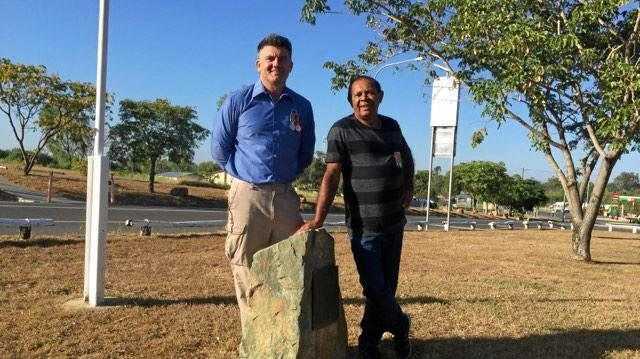 Fittler's Blues advisor Greg Alexander, a former judge of the award, also criticised the new criteria, which takes into account only international games. "The fact that this bloke's won it just shatters the integrity of the award," Alexander told foxsports.com.au. "To be honest, I'd never heard of him until he scored three tries on the weekend. "When I read up about him, his first game was in the Denver Test off the bench - seriously?" England's Australian coach Wayne Bennett admits Makinson did not appear on his radar until this season and asked journalists at the post-match press conference on Sunday where the player had been hiding. "That's just Wayne," Makinson said. "He loves a bit of a joke! "But I can't thank him enough; he fills us with confidence just like he does the rest of the lads and he's an absolute pleasure to work with." 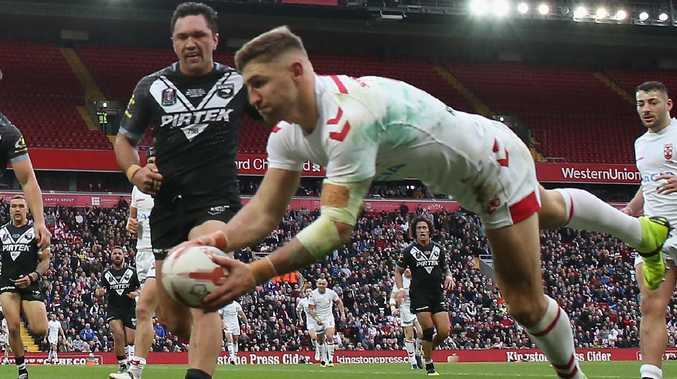 Makinson made a try-scoring debut as a substitute in England's mid-season win over New Zealand in Denver and was handed the number five jersey for the Kiwi internationals when Hall, who has joined Sydney Roosters for 2019, suffered a season-ending knee injury. "I didn't really think I was going to get a game going over to Denver in the summer but then Wayne said there'd be two backs on the bench and it was like, wow," Makinson said. "Then I got thrown on before half-time. He knew that was the moment to put me on as people were getting tired and I think I've kicked on from there. "I can't thank Wayne enough, not for what he's done with me, but what he's doing with England."